Choosing a contractor is an important decision that will have a great impact on the success or failure of your project. Great plans, contracts, and construction documents cannot get good work from someone lacking in skill or integrity. Find someone whom you can trust and feel comfortable working with. High level of professionalism. Courtesy, respect, punctuality and the ability to communicate are some of the most important attributes a contractor can have next to their basic competency. Licensed by the state and have never literature review outline apa format had a complaint filed or had disciplinary action taken against them. Ask for their license number or look them up by name on DenverGov.org’s Contractor License Search. 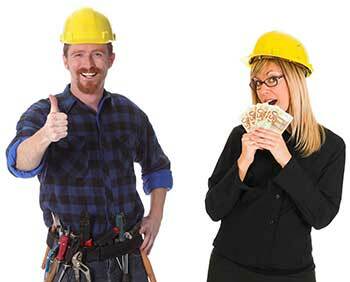 The general contractor carries adequate Workman’s Compensation and General Liability insurance. Ask to see their insurance certificates. They’ve been in business seven or more years under the same name. A well established contractor will have a permanent, physical business office and address, a tax identification number and business license, and will have these readily available. They can offer at least five positive references from previous customers. They specialize in the work you are wanting performed and can provide referential material of such experience. They offer detailed descriptions of the Scope of Work to be performed. They will warranty their work. They don’t ask for more than 25-33% of the cost up front. They don’t require final payment until the work is complete. They are in good standing with the Better Business Bureau. They’re affiliated with a local, state, regional or national industry organization, such as NARI. Involvement in a professional organization i need help with my english homework tends to keep a contractor better informed about the latest developments and issues in the industry. The name, address, phone number and email address cannot be verified. The business is not registered with the state. Business registration is public record in Colorado and can be verified online at the Colorado Secretary of State Records Search. The sales representative pressures you into signing a vague contract with no legal verbiage. The sales representative offers you a discount or low rate if you sign the contract on the day of your meeting. The sales representative will offer you a “low rate” or “money off” to use your home for advertising. There are not multiple references offered and they are not legitimate referrals. Any competent general contractor would not mind if you were trying to verify their credentials. Their license(s) are not current or in good standing. You are unable to obtain insurance information or their insurance is not current. If you are asked to pay for the job in advance or payment plans are not broken down for completion milestones. If you are asked to pay cash instead of check, credit card, money order or cashiers check. If you are asked to make checks out to a person instead of a business or DBA (Doing Business As). If the business cannot be found in the phone book or has no membership with associations such as The Denver Better Business Bureau or any trade associations. The contractor does not inform you in writing of your three day Right of Rescission, required by law. Information is not to your understanding and is vague. Contractor does not listen to what you want. The contractor is too “busy” to talk and cannot return phone calls in a timely manner. The contractor is impatient and cannot listen to your specific needs. The contractor does not have a portfolio or cannot visually show you homes they have worked on. The contractor knows how much your budget is and intently tries to get you outside of it. The contractor cannot get proper permitting from the city where you live. They solicit door-to-door. Be suspicious of contractors who attempt to gain business by visiting door-to-door. This can sometimes mean that the contractor is not from a local, established business but is instead just passing through and trying to make a quick buck. They have materials left over from a previous job. If a contractor offers a cut-rate price on a project because they have materials left over from a recent job at your neighbors house or the house “down the street”, it is a common ploy of fly-by-night operators or handymen who are based out-of-state and use their pick-up trucks as their place of business. They ask the customer to get the required building permits. This could be a sign that the contractor is hoping to avoid contact with the local agency that issues such permits. Perhaps they are not licensed or registered as required by the state or locality. A competent contractor will get all the necessary permits before starting work on a project. They do not list a business phone number in the local directory. This can be a red flag indicating that the contractor does not have an established business presence in-state, or that they perhaps rely on a home answering machine to “screen” customer calls. They pressure the customer for an immediate decision. A reputable professional will recognize the customers need for time to consider many factors when deciding which contractor to hire. The customer should expect and ask for time to check references; look into the contractors standard of work and their professional designations and affiliations; verify their insurance; check to see if they need a license (and if so, that it is valid); get written estimates from several firms based on identical project specifications, and contact the Better Business Bureau and local consumer protection agency to see if they have information on the contractor. They ask you to pay for the entire job up-front or demand cash only. Whatever the reason, a customer should never pay for the entire project upfront. Payments should be by credit card or check so that your credit card statement or cancelled check can provide proof of payment, if needed.